First things first: Marnie has the softest fur ever. She is so cuddly and tiny, I couldn’t handle it. Yesterday while my parents, brothers, girlfriend Laura, and I were out and around in New York City we got to complete a bucket list goal of mine and Laura’s. 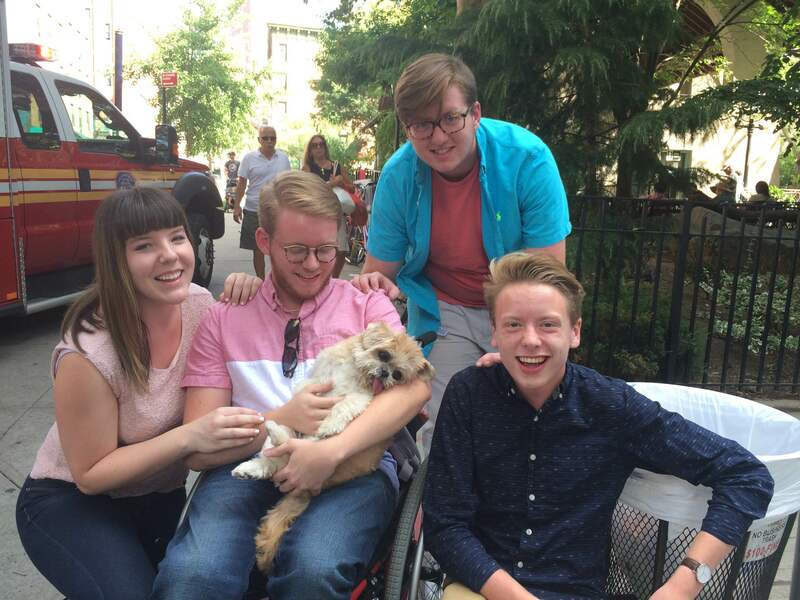 We got to meet, cuddle, and take pictures with Marnie the Dog. If you aren’t already familiar with this incredibly well traveled dog, then you need to go add her on every form of social media. 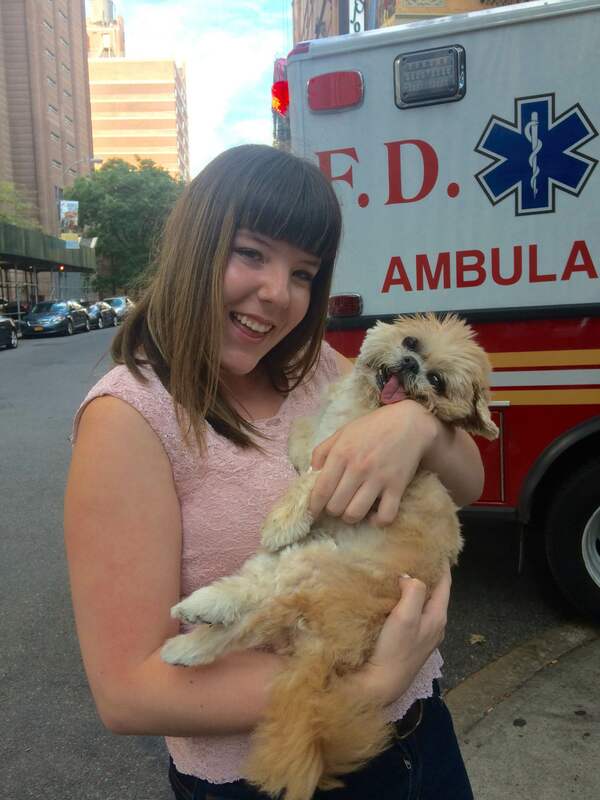 When Marnie isn’t hanging out with celebrities or traveling to Paris she is living the high life in New York. Having religiously followed her Instagram and Twitter, Laura and I have been super fans for the longest time. How could we not be? Just look at Marnie’s cute little face. This trip to New York coincided with a few celebratory events for us. Laura and I just celebrated our anniversary on the 13th, my birthday on the 18th, and my mom’s on the 21st. We have gotten to hang around the city as a result, and this trip has been fantastic. But last month I decided to take a hail mary shot to see if I could ever swing a visit with Marnie when we all went to New York. 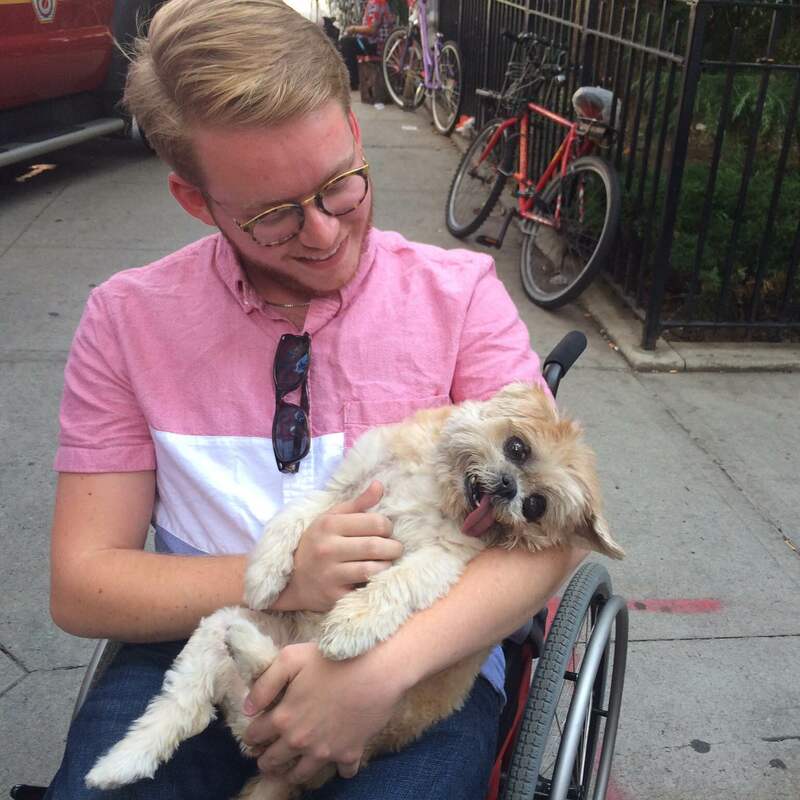 I got in contact with her owner and exchanged a ton of delightfully nice emails. Even up until yesterday we were convinced there was no way that we’d be lucky enough to snuggle the dog we fawn over every day. Then yesterday we went to a park in the city and hung out for a few minutes. We casually glanced over and saw the big, beautiful eyes, floppy tongue, and happy demeanor of Marnie walking towards us. It was like Beatlemania, but better. We hung out for about half an hour, all taking pictures with her, talking with her delightfully kind and awesome owner, and having the time of our lives. Laura was near happy tears as a result. I think this works as a sort of anniversary gift right? My mom loved it too. She spent the rest of the day excited to get home to her big puppy Candy Bob, and talking about getting him a little brother. My mom, the biggest dog person I’ve ever met, was loving it. Curiously, Marnie also really liked my dad. I think she was convinced he was the snaxmaster, and would make sure she got lots of treats. Thanks for taking some time for us yesterday, Marnie. We love you. This was amazing.